Along with tax benefits better return profile and choice of funds have given an edge to NPS compared to other tax saving instruments, analysts say. 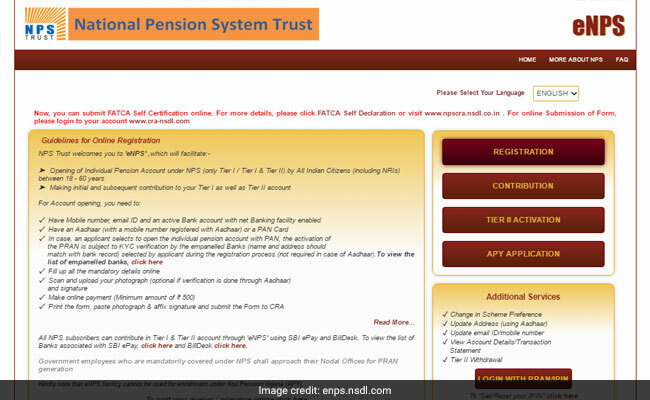 One can open online NPS account with Rs 500 Only. 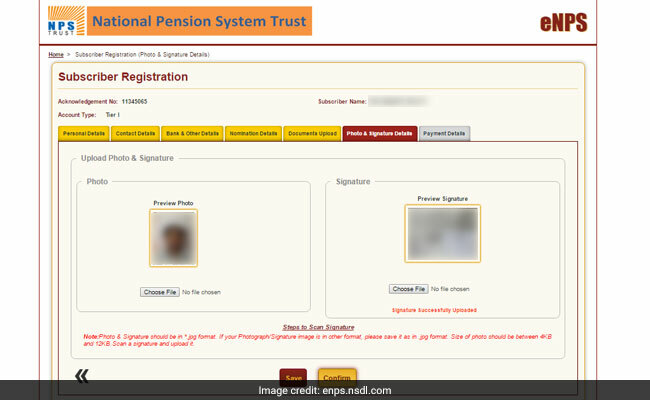 NPS or National Pension System has been gaining popularity in recent days. 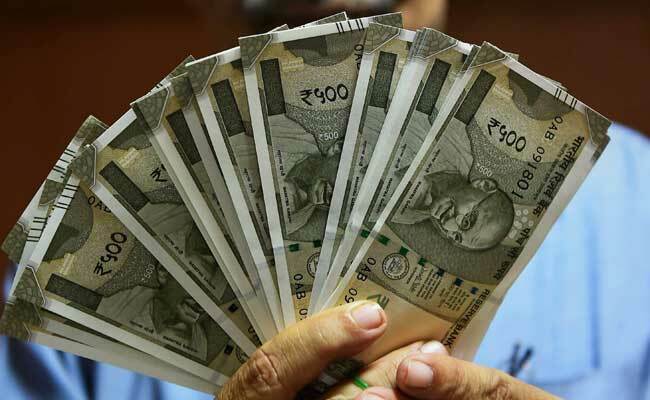 Along with tax benefits (Amount of up to Rs 2 lakh invested per year in NPS qualify for tax exemption), better return profile and choice of funds have given an edge to NPS compared to other tax saving instruments, analysts say. 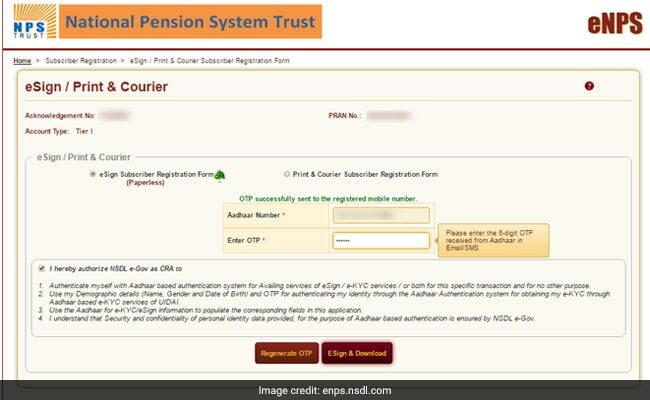 In order to make the NPS account opening procedure convenient, the National Pension System Trust has introduced a online facility called eNPS. 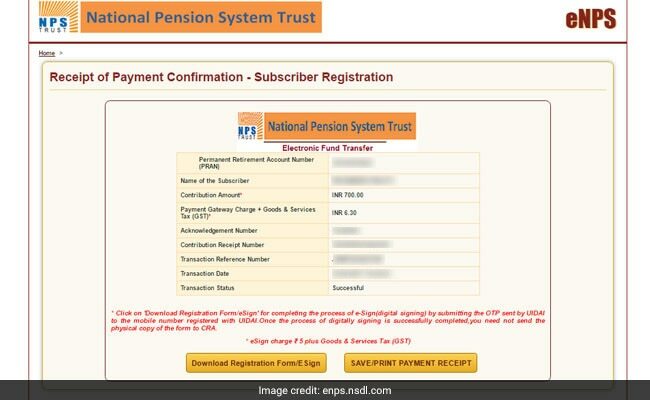 The eNPS facility of National Pension System Trust allows opening of individual pension accounts under NPS and making initial and subsequent contribution to Tier I and Tier II accounts. However, to open an NPS individual account online you should have the following things. 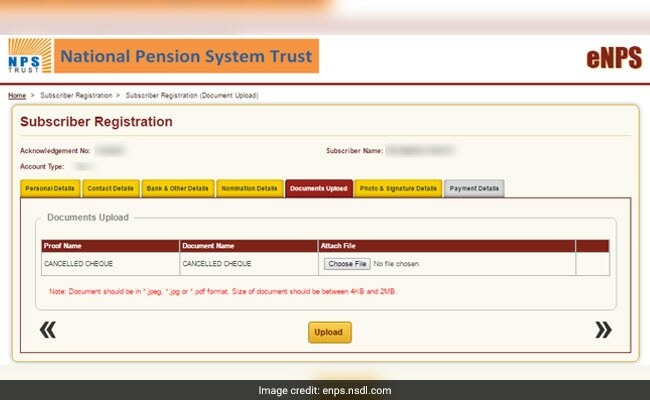 1)Go to eNPS website:- https://enps.nsdl.com/eNPS/NationalPensionSystem.html. On the right hand side of the home page click on "registration". 2)The online subscriber registration page will open. Select new registration, choose appropriate category, enter your Aadhaar number, and generate OTP. Enter the OTP you receive on your registered mobile number and click on continue. 3) After you click "continue" an acknowledgement number will be generated along with your name and a time stamp. Then select "OK". 4) You will be prompted to enter your personal details. Verify the details after you enter them, then click on "Save & Proceed". 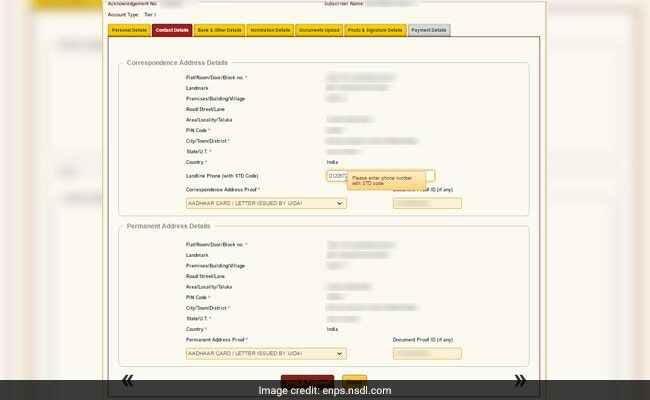 5) In the next step you will be asked to enter your bank details in which you have online banking facility. Enter your bank details than click on "Save & Proceed" for the next step. 6) In the next step, you will be asked to decide the portfolio allocation among four available funds subject to a maximum exposure of 50 per cent to equity funds. 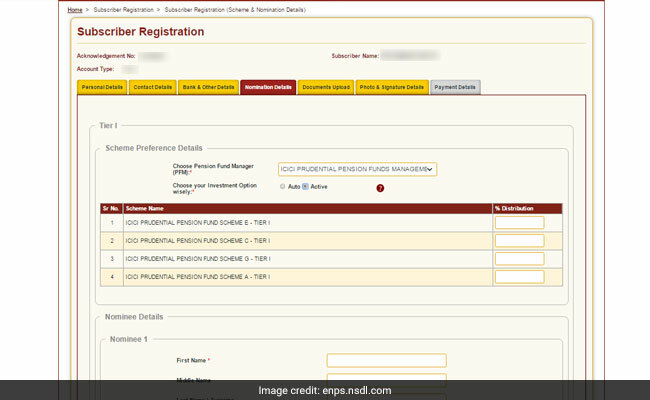 Once you enter the allocation details, nominee details need to be updated. 7) Once you update your nominee details, you have to upload a cancelled cheque of your account, photograph and your specimen signature. 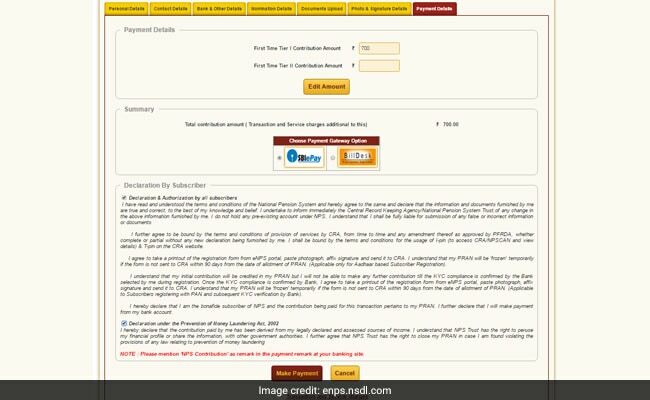 8) In the final stage, you have to make your first contribution towards NPS subject to a minimum investment of Rs 500. You can make the first payment either through your net banking or through credit card (with some additional charges). 9) On successful completion of payment, your permanent retirement account number (PRAN) will be generated along with the payment receipt. 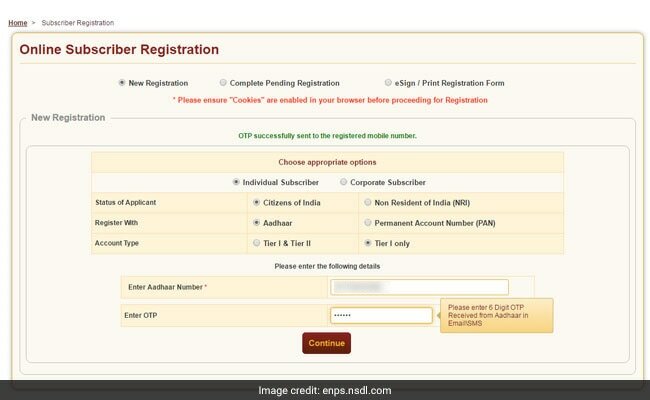 10) Click on "Download Registration Form/E Sign" to complete the process of registration by submitting the OTP sent by UIDAI to the mobile number registered with your Aadhaar. It will take two working days for the units to be credited against your PRAN number. 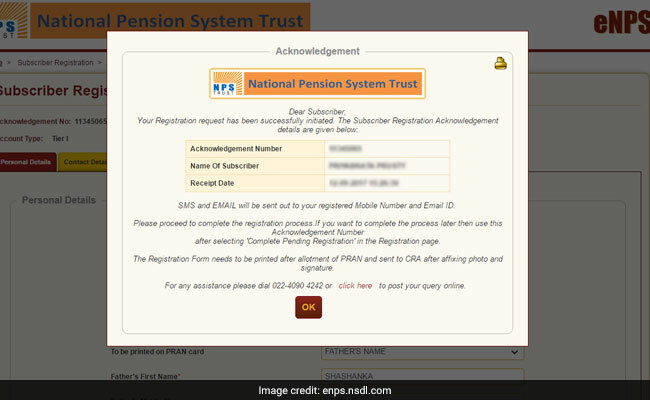 Further, you will also receive an email on your registered email id regarding IPIN generation for your PRAN, which will be used to access your account online and make further investment in your NPS account.